I was asked to fill out a mommy advice questionnaire for my sweet sister-in law’s baby shower – called Wishes for Baby (I’ve changed it to Wishes for Baby & Mommy). While I love doing these kind of activities, I usually struggle because they are so open-ended and really how can you give someone advice without scaring them as to the realities of marriage or motherhood (lol!). So I usually try and sugar-coat it a bit. But this time, for some reason, my heart just poured out onto the page because motherhood is beautiful and messy and hard and magical all at once – so why hide it? She will come to understand this soon and I think be thankful that someone else was honest about the realities of motherhood. Included below are my favorite baby shower questions from the questionnaire and my response. 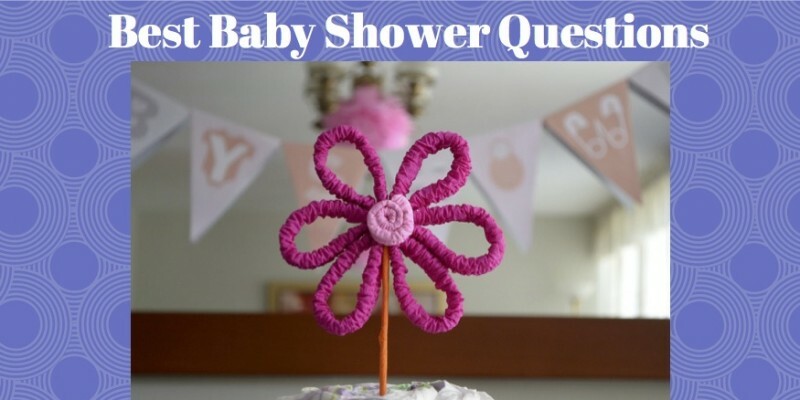 These type of questions will help to generate authentic responses from guests at your baby shower. trust your God-given mommy instincts! People will give you a lot of unsolicited baby advice – take the good, forget the bad and trust your instincts. of labor pains – you are perfectly designed to do the beautiful, meaningful work that is labor. And when you meet your baby you will instantly know it was completely 100% worth your labor of love. with all your heart and without worrying that you will spoil your baby. Babies are unable to manipulate us for the entire first year, so spoil away! to spend those precious early weeks resting and bonding with your baby. at midnight blow-out diaper changes or when your mommy-brain can’t remember why you are standing in the middle of the kitchen or anything for that matter lol! the feeling you have when your baby laughs for the very first time! There is no sweeter sound! the internet and anyone who questions if you are making enough breastmilk. comfortable with the new normal that is motherhood! the high calling of motherhood. It is the most important work you will ever do. As with anything there are good days and bad days, and those days where you feel as though you fell short. Forgive yourself and start over tomorrow. stronger and wiser and try hard not to resist the changes that motherhood brings. As mothers we live out what it means to fully put the needs of another before our own needs. It’s a beautiful, life changing journey!